Be prepared for anything with the Willa. A spacious interior has the space you need to carry makeup, sunglasses, eyeglasses, your wallet, a book and more. 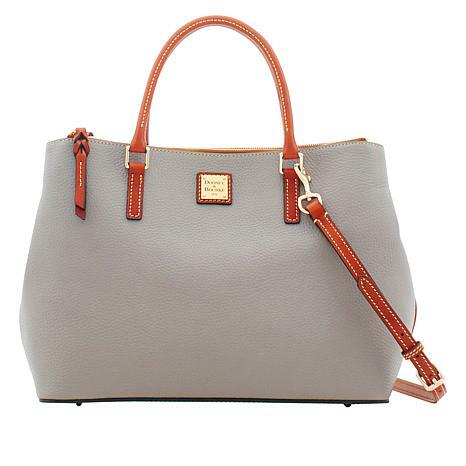 I own 8 Dooney and Bourke's and by far this bag is my favorite. It runs on the large size but is light weight. 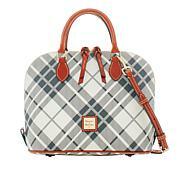 I love the zipper compartments, as it adds a little extra security to the bag. In addition, I love the option to carry my bag by the handle or use the strap. The Pebble leather is soft and easy to clean. Great purchase. 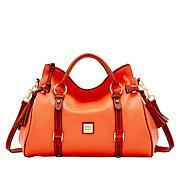 I plan to buy this bag again, just in a different color. 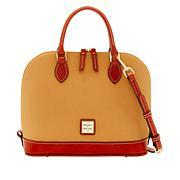 I love the Dooney & Bourke line and the purses never disappoint. Pebble leather is the best! Love this purse. Has a place for everything. Perfect for work and play. 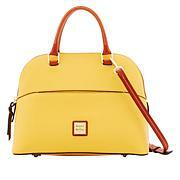 I love my purchase of Willa Satchel great size love the short handles. I had a hard time with color but pick desert this bag fits the bill.